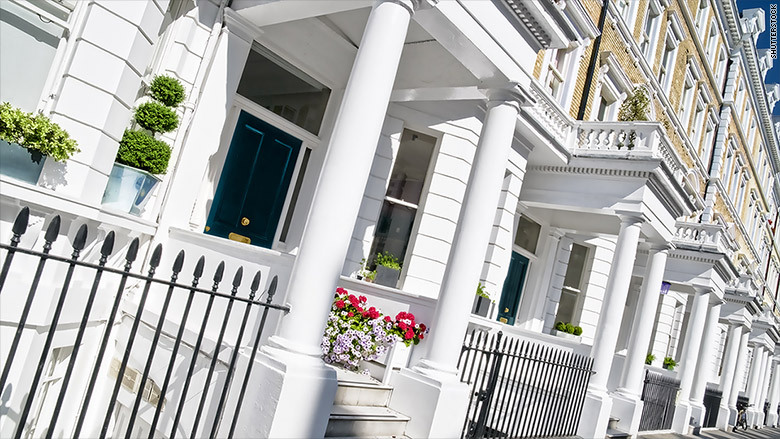 Money launderers be warned: Don't try and hide your dirty cash in London property. Criminals have been pouring billions into the city's red hot real estate, but the U.K. government is now promising to get tough with measures aimed at shining a light on the murkier corners of the market. "That is my message to foreign fraudsters: London is not a place to stash your dodgy cash," British Prime Minister David Cameron said Tuesday. Anonymous shell companies were being used to buy high end properties, some with "plundered or laundered cash," he said. As a first step, the government will publish a list of all foreign companies that own land and property in England and Wales later this year. It will also consider ways of making the ownership of those companies transparent, Cameron said. Offshore firms own about £122 billion ($190 billion) worth of property in England and Wales. The property register will apply to about 100,000 titles. An influx of foreign buyers has added fuel to London's property boom, with Qatari, Chinese and Russian investors among the big spenders. Prices in the city have soared -- they've jumped 9% above already inflated levels over the past year -- making home ownership an impossible dream for many average Londoners. Cameron said the vast majority of foreign businesses investing in British property were legitimate, but added there could be no place for "dirty money." "The U.K. must not become a safe haven for corrupt money from around the world," Cameron said. The government will also consider forcing foreign companies that want to bid on state contracts to reveal their owners. Global Witness, which campaigns against corruption, said it was too easy for criminals to launder money through luxury property, and it welcomed the measures. "London...is one of the go-to destinations to give questionable funds a veneer of respectability," it said in a statement. Global Witness spokesman Chido Dunn said the family of late Libyan dictator Moammar Ghadafi used stolen loot to invest in London. "A famous example but far from a one off," Dunn said. Others include a property empire worth nearly £150 million on Baker Street in London -- Sherlock Holmes' fictional address -- owned by a "mysterious figure" with close ties to a former Kazakh secret police chief accused of murder and money laundering, Global Witness said.